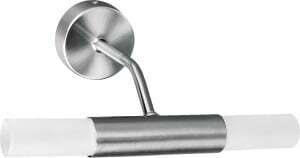 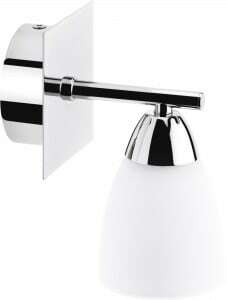 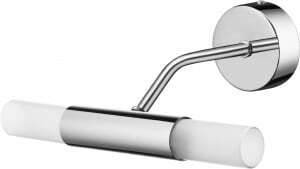 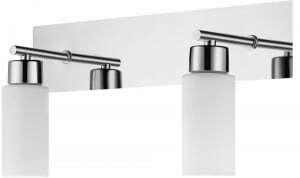 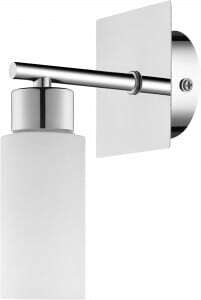 Thank you for submitting your question about Wall light Aquatic chrome / white GU10 50W. 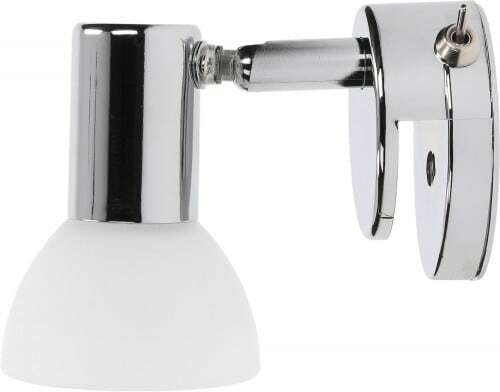 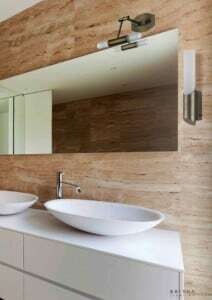 Wall lamp in chrome / white, made of glass and metal, which will discreetly accompany you, illuminating the room. 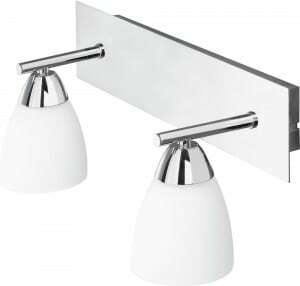 Wall lamp Aquatic Chrome White, is a pure reflection of the Scandinavian style , in which the most important qualities are minimalism and simplicity. 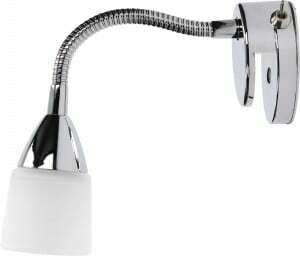 This lamp is an exemplary lamp, if you are looking for a lamp for the dining room , bedroom, living room, kitchen, office or hallway. 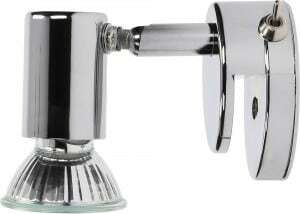 The presented lighting enables working with 1 light source with a GU10 base and a maximum power of 50 W. Lamp height: 75 mm.